What is a Worcestere Accredited Installer? Worcester Accredited Installers must have relevant Gas Safe, OFTEC and/or MCS approval. WAI’s must also have attended Logic certified training courses on boilers, solar thermal systems, heat pumps and/or underfloor heating. 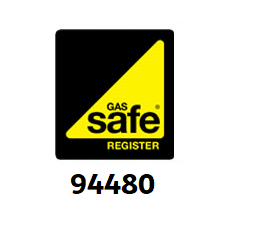 Worcester check the installer’s Gas Safe, OFTEC and/ or MCS accreditation on a regular basis. However we always recommend to homeowners that they verify a heating company’s membership status with the awarding bodies directly via their relevant websites. The standard Worcester product guarantee period is usually 2 years. Many of the accredited installers can offer longer guarantee periods ranging from 3 to 10 years depending on the type of boiler and parts used. Worcester also run national guarantee promotions, so please check the Worcester website or ask your installer for up-to-date offers and product information. Due to the complexity of modern heating systems, installation, service or repair work should only be undertaken by a qualified heating engineer. This is why most manufacturers of heating and hot water appliances such as boilers, solar thermal and heat pumps only supply through trade merchants, rather than directly to end users. We offer competitive, no obligation free quotations.